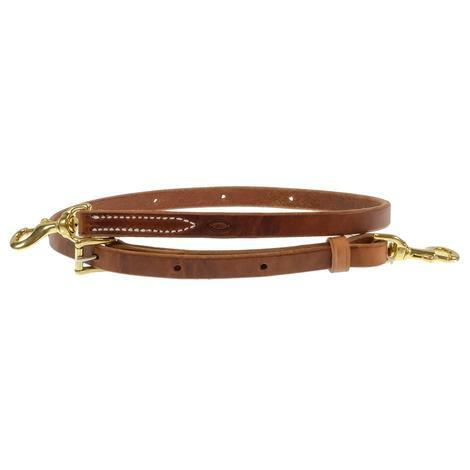 This is a great alternative to the typical noseband tiedown. 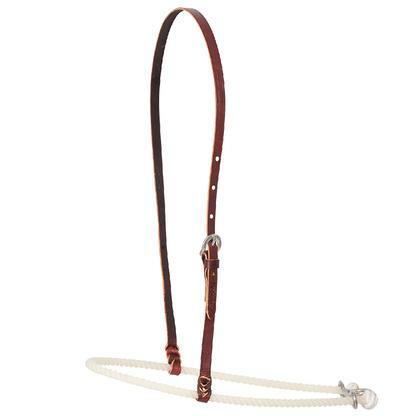 Rope headstall with a leather noseband. 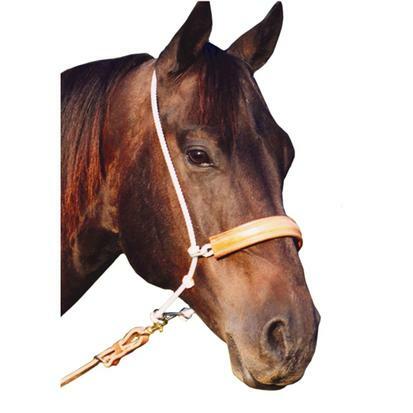 Noseband made by Top Hand Rope Company. The single rope is covered with harness leather and stitched with rawhide. Stainless steel and brass hardware provides flexibility and security. The keepers are rawhide. Tie down strap made from harness leather. The buckle allows you to adjust the length and two brass snaps make it quick to put on or take off. This tiedown strap is ¾ of an inch. 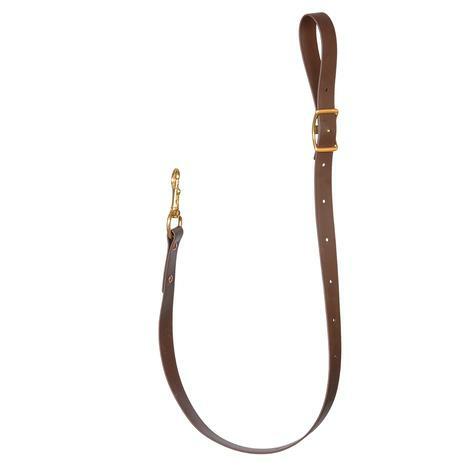 Tiedown strap from Martin Saddlery. 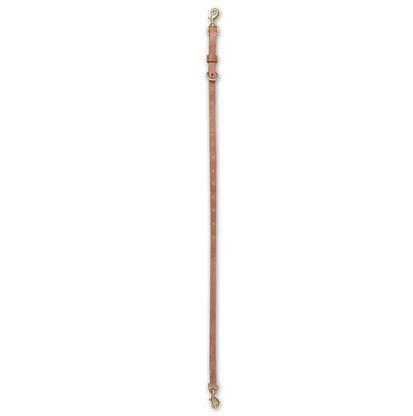 This is a 1 inch tiedown made from chocolate Biothane. A brass Conway buckle allows for adjustment and the brass snap provides ease of use. 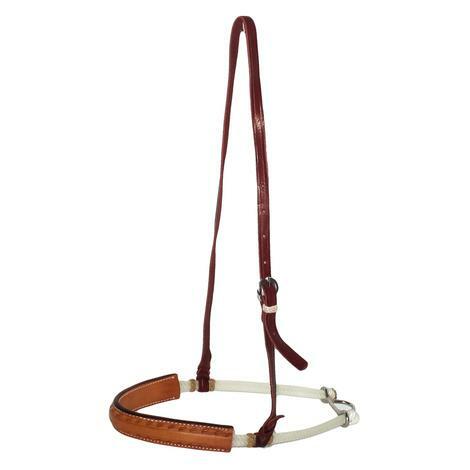 Noseband built by Martin saddlery. This is a single rope nose band. 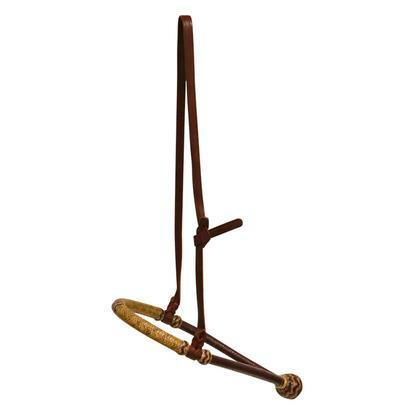 Tie down made of biothane by Cactus Saddlery. This tie down attaches with a buckle and a bolt snap. Tie down is 1 inch wide. STT leather harness tie down measuring 3/4" x 40". 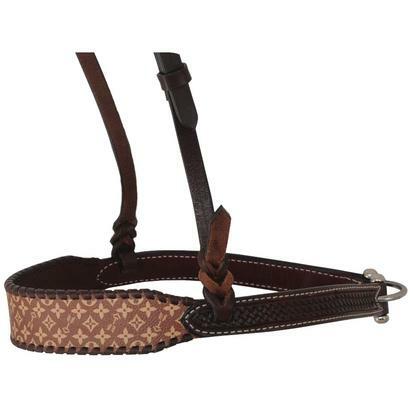 These Tie down straps make a great addition to any tack collection. 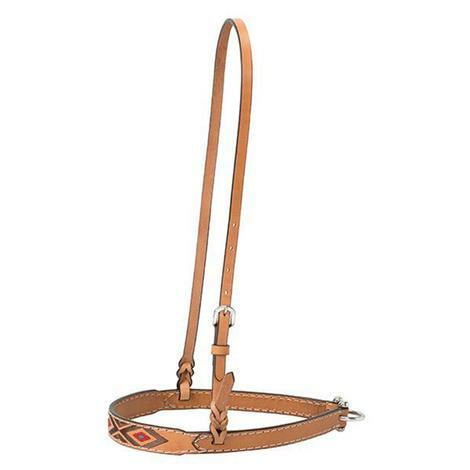 Light oiled 1 1/4" noseband featuring an Aztec diamond-style embroidery. STT leather noseband made with high quality 5/8" light oil leather. 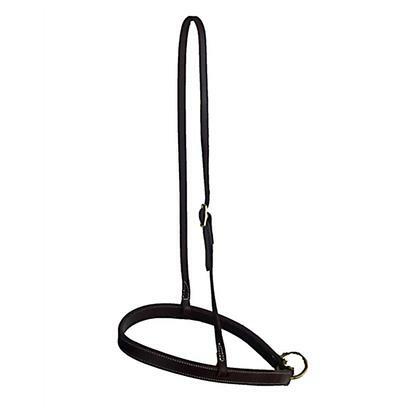 This noseband is a great addition to any tack collection! 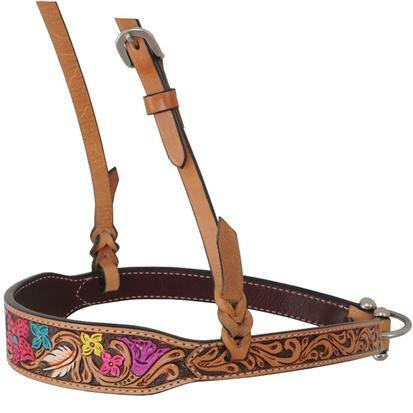 This noseband from Rafter T Ranch features a hand painted prickly pear cactus design and a floral swirl hand tooled pattern. 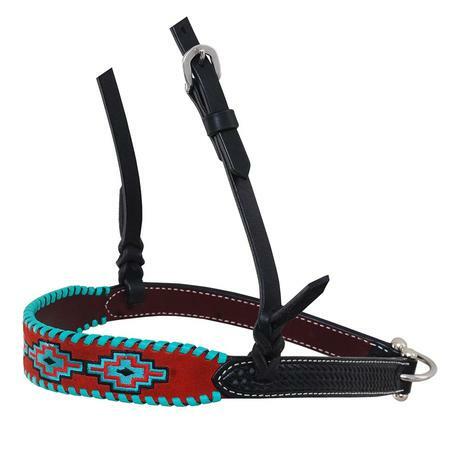 This noseband from Rafter T Ranch features an embroidered Aztec design over red suede and hand stamped texturing. 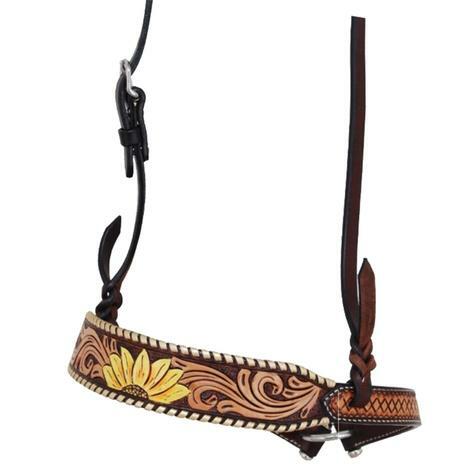 This noseband from Rafter T Ranch features a hand painted sunflower design and two tone leather tooling with a metallic leather whipstitch border. Single rope braided noseband made from harness leather. 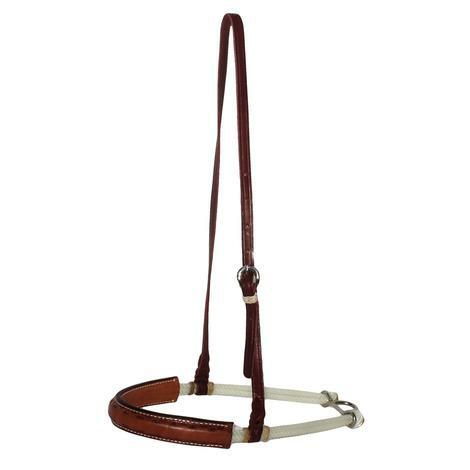 This is a leather noseband from Martin Saddlery with a chocolate leather harness and a harness lining. 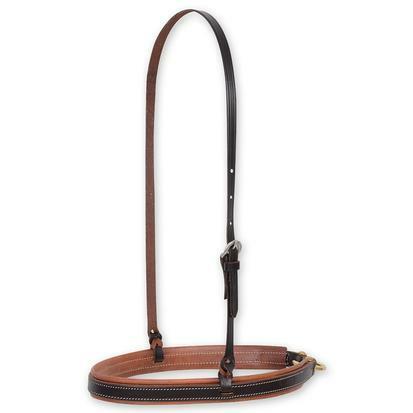 This is a Cowperson Tack dark oiled harness leather noseband with double stitching on the seam. The hardware is brass and there are four adjustment notches. 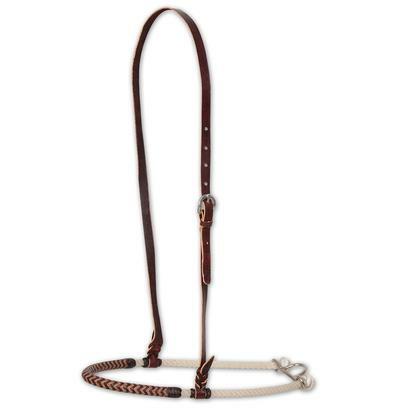 STT rawhide bosal with hanger made using high quality leather. 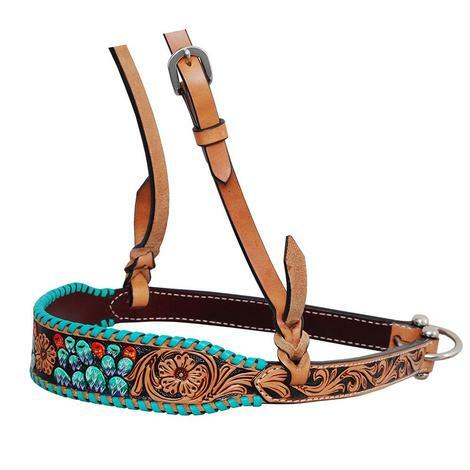 Makes for a great addition to any tack collection. 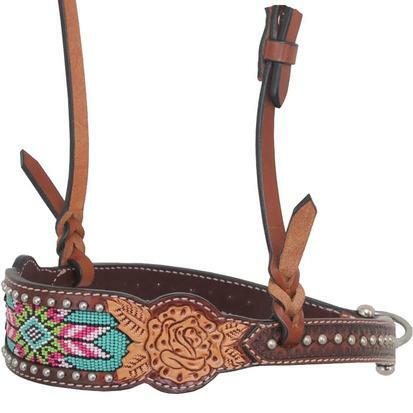 Noseband featuring beaded inlay, sterling silver dots, hand tooled roses, stitching, and basket weave tooled accents. This is part of the Beaded Inlay Collection made by Rafter T Ranch Company. 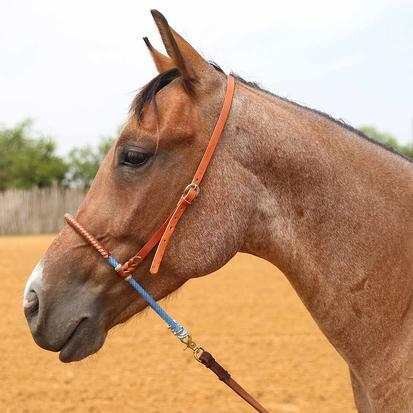 Noseband made by Rafter T Ranch Company. The bright floral design is hand drawn, hand tooled, and hand painted. This wide nose band is part of the Hand Painted Floral Collection. 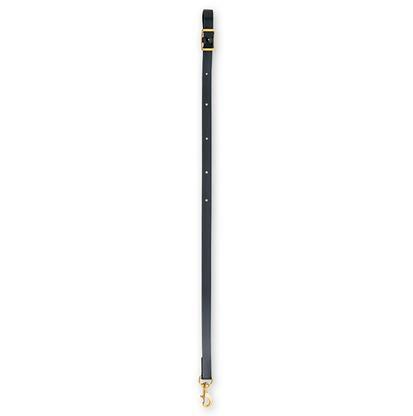 Dark and light leather create a sophisticated noseband. The whip stitch trim is a soft brown and the dark leather is basket weave tooled. A classic print pattern has been updated and personalized using the Rafter T Ranch Company logo.